The numbers are staggering. Siena College Research Institute Director Don Levy says nearly 6 out of 10 Capital Region residents have been impacted by the opioid epidemic, and one in four people say they know someone who has died of an opioid overdose. "Then we moved on to ask people ‘How did this happen? Who do we hold responsible for this?’ And there's plenty of blame to go around, we found. We hold doctors overprescribing, allowing too many pills, patients to walk out with too large of a prescription. Pharmaceutical companies promoting opioids and initially saying that they didn't require a warning. Governmental regulations. The government came a little bit late to regulating it and monitoring prescriptions." New York Governor Andrew Cuomo wants to impose a tax on manufacturers of prescription opioids to help pay for state programs that help people who are addicted to them. Cuomo, a Democrat, laid out the opioid tax proposal in his state budget address in January. "Opioid manufacturers have created an epidemic. We would have an opioid surcharge, 2 cents per milligram would be paid by the manufacture and would go to offset the costs that we're spending to fight opioid abuse." The survey found 83 percent of New Yorkers believe opioid abuse has worsened in the past few years. 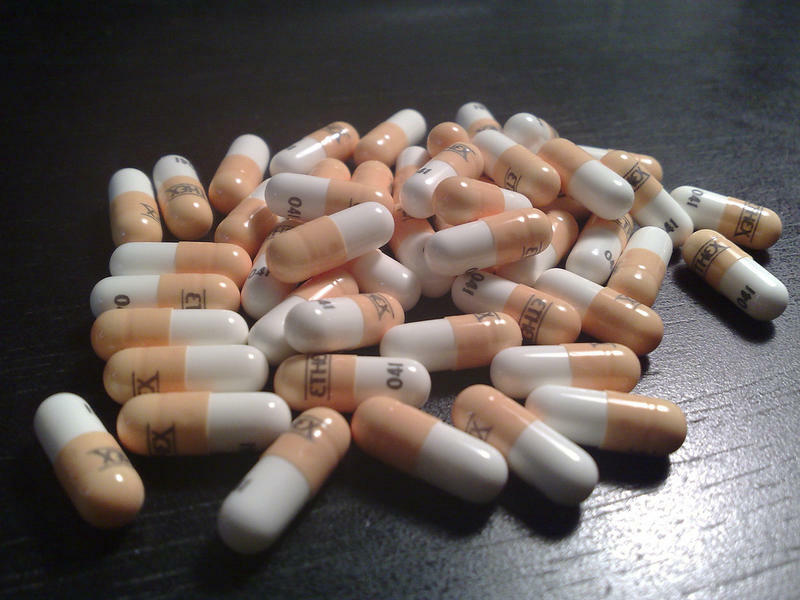 24 percent of survey respondents say they were prescribed opioids in the last two years, and a large majority said they did not finish their prescription – 40 percent of them admitting to not disposing of the pills. "No more than half, when they were given that prescription, were told by the doctor 'Be careful here, this can be addictive.' And even fewer were warned at the pharmacy." According to the survey, New Yorkers cite doctors who overprescribe opioids as a primary contributor to the crisis. The Medical Society of the State of New York did not return calls for comment. Levy says about one in five New Yorkers know someone who has sought treatment, while about half of those surveyed noted it was not easy to get into treatment. Some of the barriers included "the insurance company not allowing folks to stay in treatment long enough. The program not having sufficient follow-up. There not being enough room in treatment." Respondents say they'd like see more funding for treatment and rehabilitation as well as greater awareness. A majority of respondents would also like to see the flow of opioids curtailed. Part 4 of the Siena Poll is about to be released. "We offered a series of statements about the crisis. We wanted to find out to what extent did people agree or disagree. So we got a little bit more depth in their belief system about how insidious a problem opioid abuse is. But more importantly, we said 'where do we go from here, what should we do? 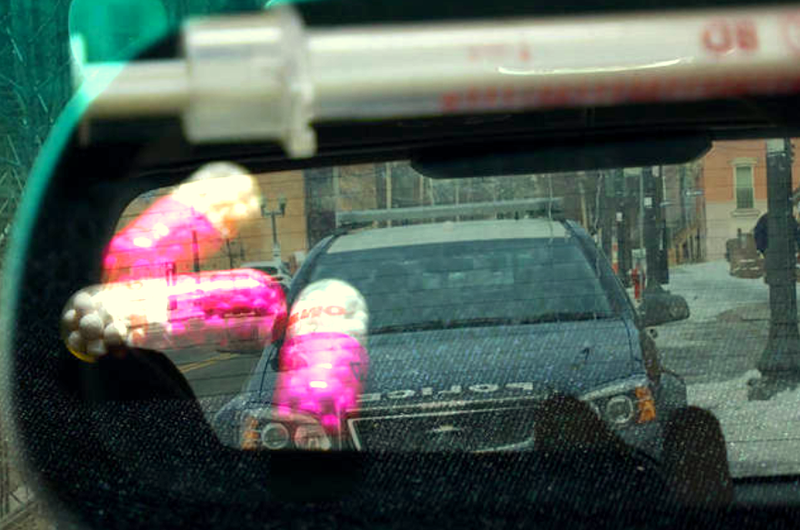 Do you support or oppose a series of initiatives and implementations that have been proposed,' you know, in terms of things that law enforcement can do, things that treatment can do, things our legislators can do. What do you support, what do you oppose, moving forward. That's what we'll be talking about in the final chapter of the survey." Nearly 1,400 New Yorkers were surveyed as part of an effort by Prescription for Progress: Patti Hart is director of cross-media business development at the Times Union. "Prescription for Progress is a coalition of community leaders united against opioid addiction. We want to raise awareness of the epidemic and take positive steps to bring about change. This initiative was launched earlier this year when Times Union's publisher convened a conversation. That conversation brought together representatives from healthcare, media, law enforcement, education and business. All these are organizations with a view on how the epidemic is harming our community. So far, we've completed a survey with Siena College and envision a second one that will target people who are on the front lines of fighting the epidemic." 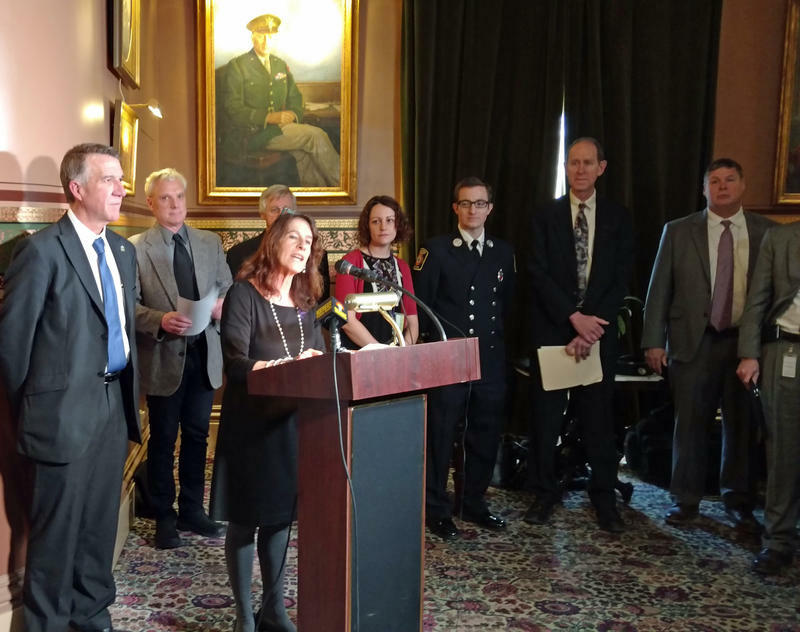 Donning purple ribbons and small cards with the number 107, dozens of advocates gathered at the Statehouse in Montpelier this week for Vermont’s second annual Opioid Awareness Day.